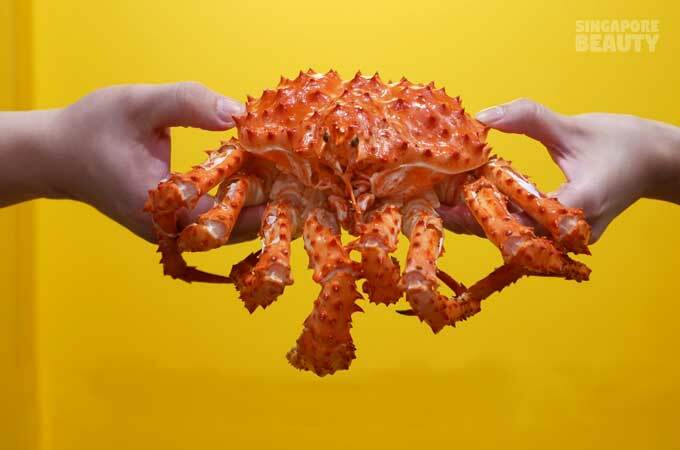 Have you tried Alaskan crab before? 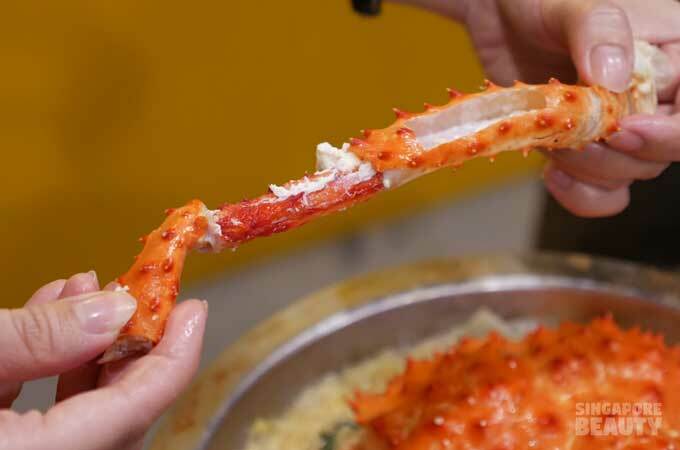 Or Jin Ho Mia’s Tok Kong pot and Ah Boy Pot? 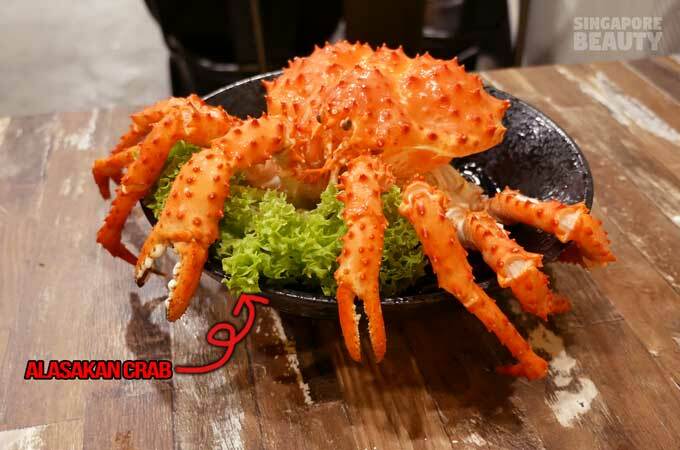 At Jin Ho Mia, they have a Tok Kong Pot ($48.80), top up ($16) for a full Alaskan crab in a Chinese hotpot. Tok Kong in dialect simply means superb and out of this world. 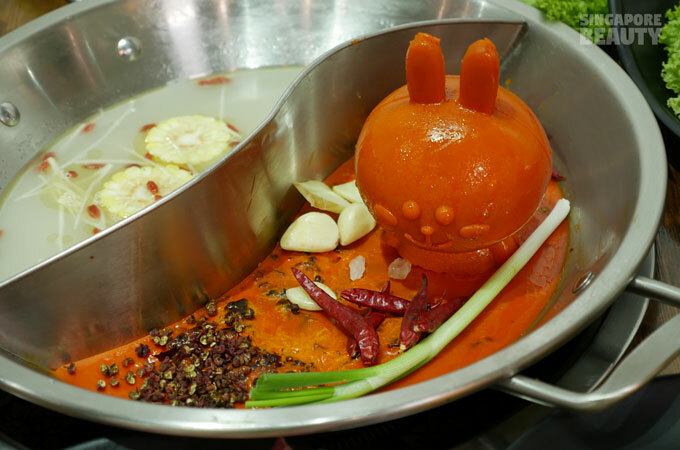 This pot has garnered a lot of media attention recently, featured by U-weekly and some other publications. Fuelled by our curiosity, we have decided to give it a try too. 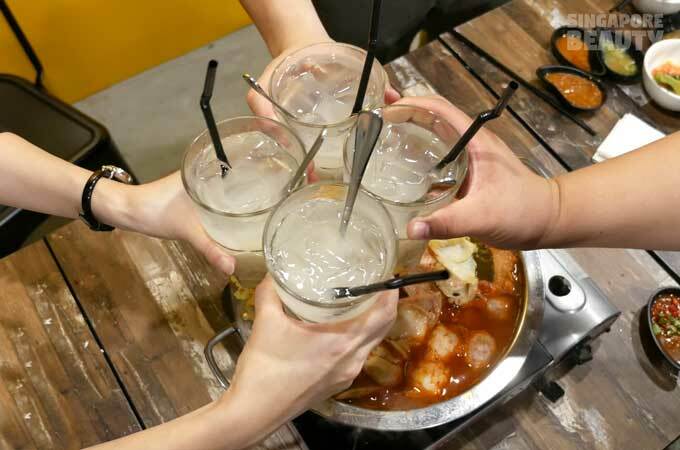 As the name of the pot implies, expect a lot of ingredients in the pot. 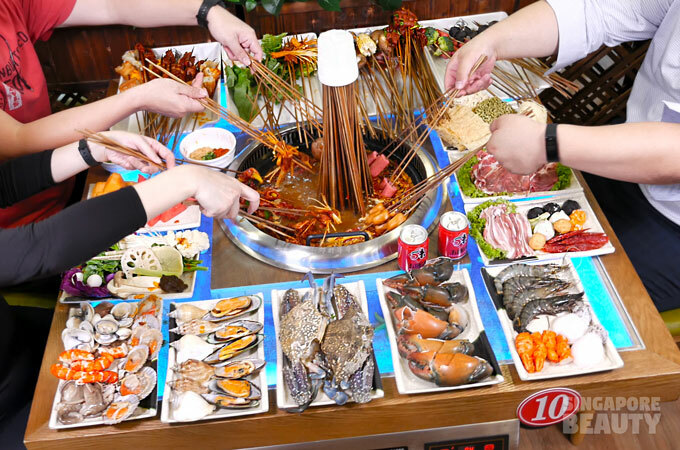 Alaskan crab legs, flower clams, 2 tiger prawns, snow crab sticks, 4 fingers of roasted pork, long cabbages, xiao bai cai, enoki mushroom, tau gua, tau kee, 1 onsen egg, 1 raw egg and a portion of instant noodle. 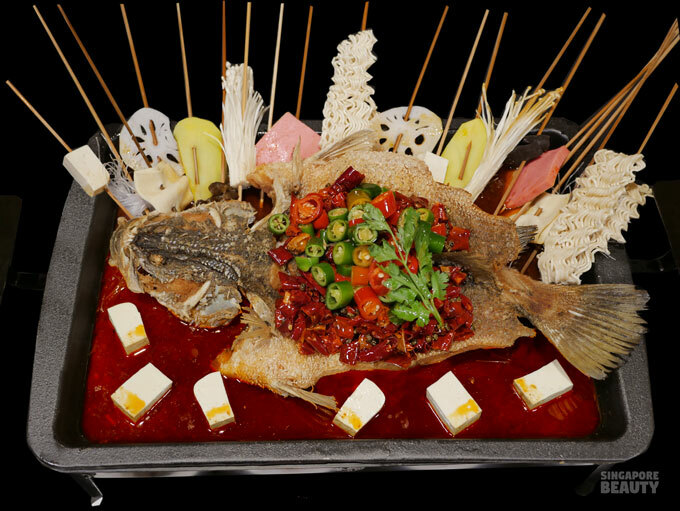 Enjoy all these in their signature fish broth. 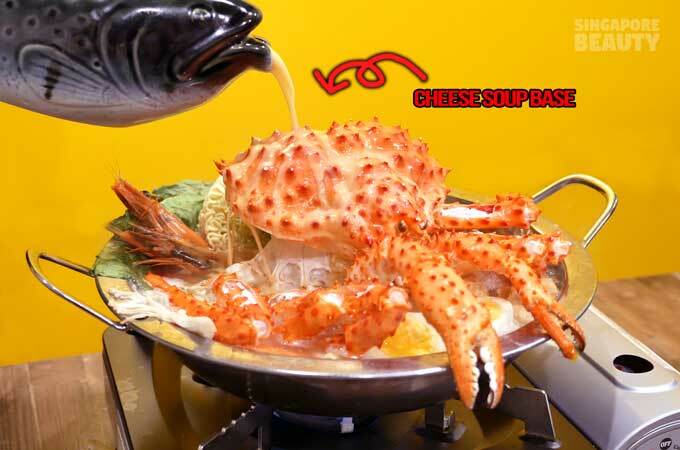 However, for an adventurous eater, you could order their other soup base (tom yum, cheese, chicken and tomato). 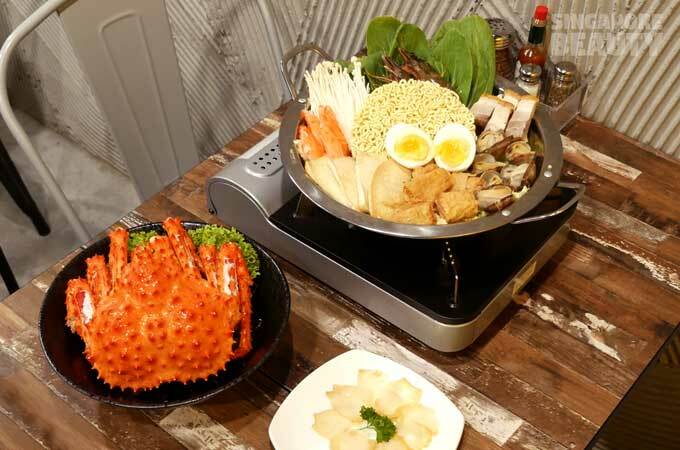 This pot is good for 2 pax, however if you are really hungry, this pot is also good for one. Do order some steam rice ($2) to go with the hotpot, to fully enjoy the broth. This pot reminds me of the comfort food made by my own granny. Traditional fish broth and homely ingredients, best enjoyed on a rainy day. The homemade barely tea ($2.80) is very nostalgic. I like it as it is not overly sweet and of the correct consistency. 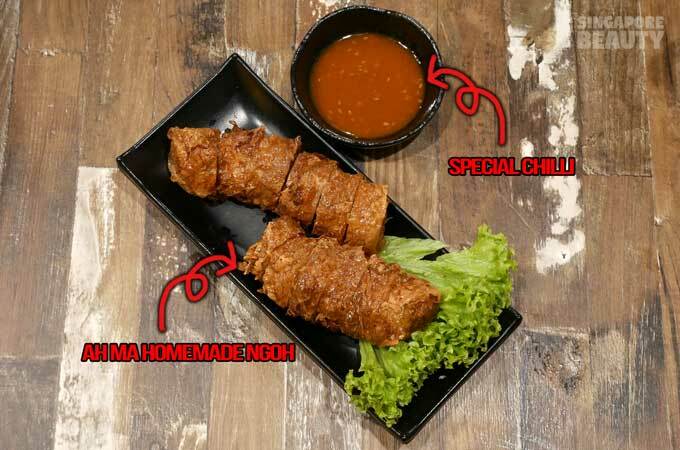 Also recommended is Ah Ma Homemade Ngoh Hiang($9.80). Crispy skin with a good amount of fillings. This is a recipe passed down from the owner’s grandmother. 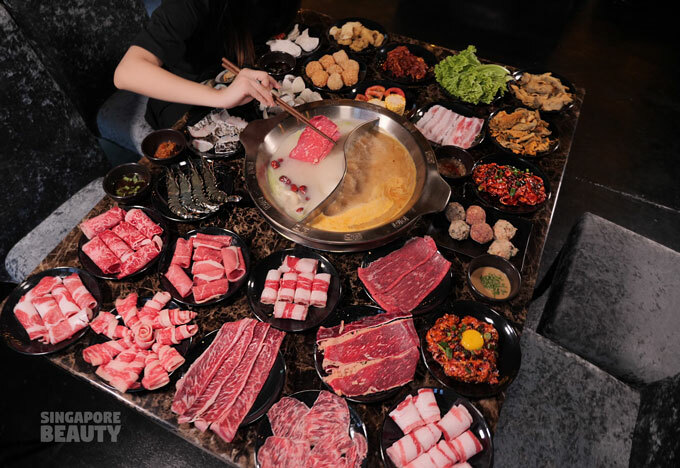 If you are a meat lover, the Ah Boy Pot ($33.80) will appeal to you more. 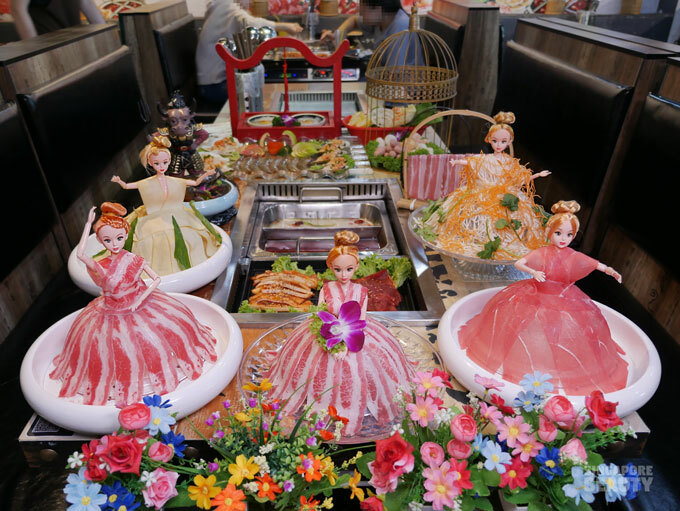 This is like a Chinese version of army stew. 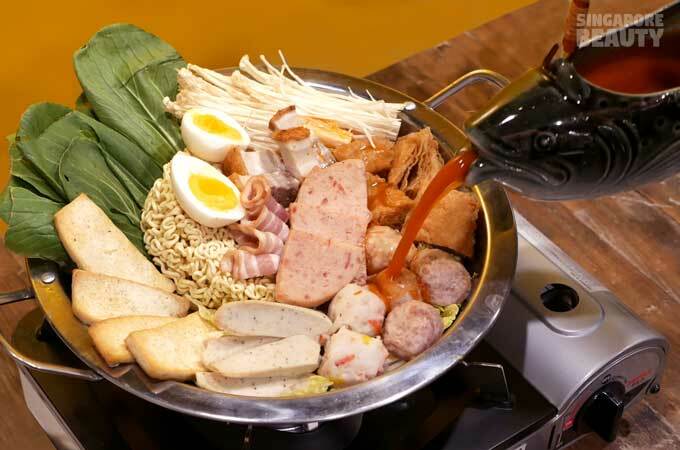 Pork balls, lobster balls, bacon, 4 fingers of roasted pork, luncheon meat, chicken chipolata, long cabbage, xiao bai cai, enoki mushroom, tau gua, tau kee, one onsen egg, 1 raw egg and a portion of instant noodle. Try their tomato soup base to compliment the ingredients. We added a portion of freshly cut tomatoes to enhance the soup base further. The result was a tangy and flavourful thick broth. 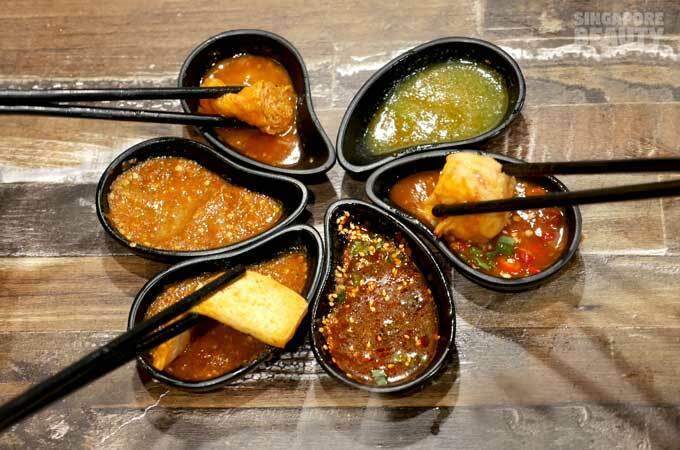 For dipping sauce, you can customise from the variety of condiments available. 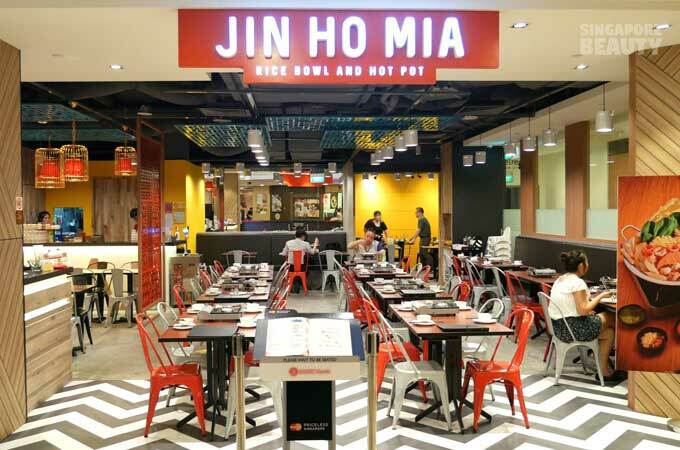 Jin Ho Mia is having an opening promotion for Ah Boy Pot at $28.80 until further notice. 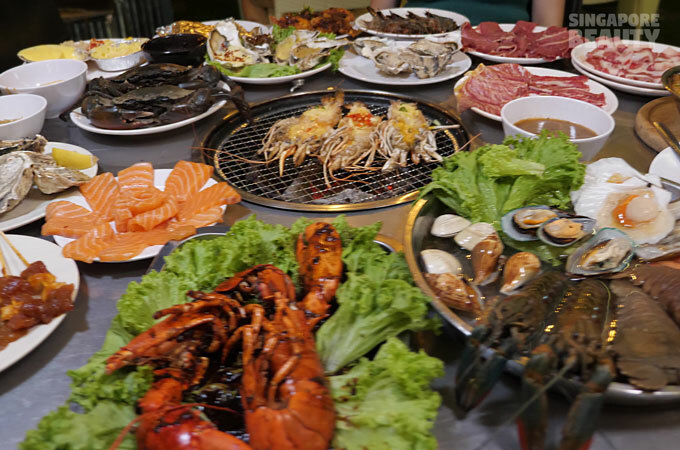 This comes with a free plate of abalone slices for every preset hotpot ordered while stocks last. Do check with them if the offer is still available before heading over. 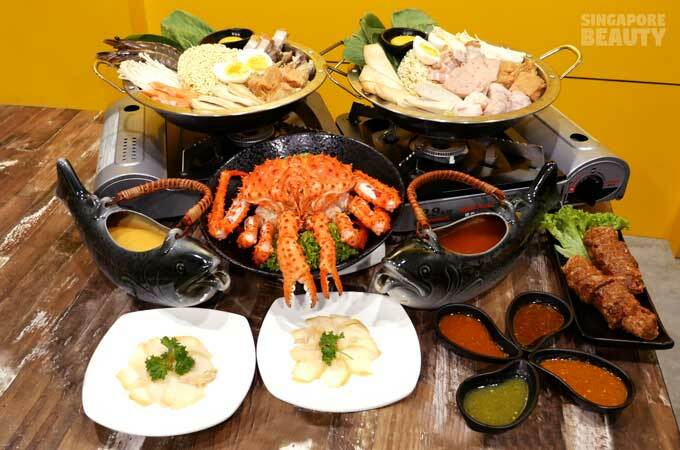 Drop by Jin Ho Mia today for the homely hotpot. 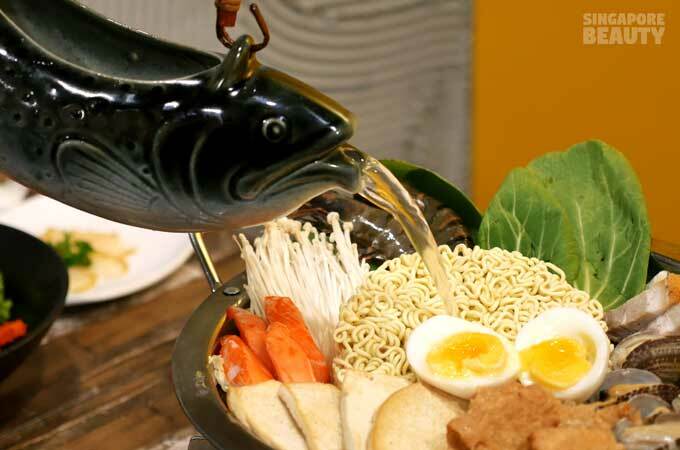 *The fish spout pot is provided by Jin Ho Mia and pot may not be available. This is a media invitation.